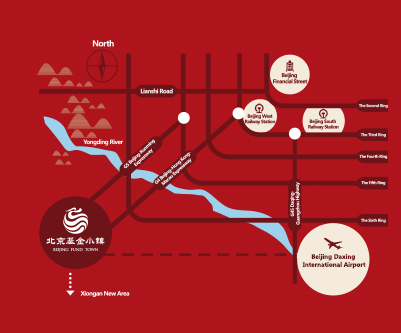 Beijing Fund Town is situated in southwest Beijing, covering an area of 18 square kilometers. The town has been listed in the “13th Five Year Plan” of Beijing as a major project to coordinate development of Beijing-Tianjin-Hebei. 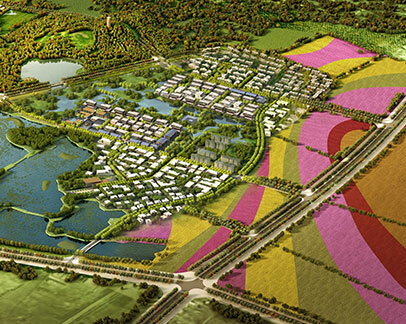 Jointly certified by the Ministry of Housing and Urban-rural Development, National Development and Reform Commission and Ministry of Finance, Beijing Fund Town is the only national level distinct town with “fund” as its leading industry. Approved by Standardization Administration, the town has become the only standardized trial for national level Fund Town. Beijing Fund Town is provided with convenient traffic and efficient road network. Via Beijing-Hong Kong-Macau Expressway (G4) and Beijing-Kunming Expressway, you can arrive at Beijing Financial Street, Beijing West Railway Station, Beijing South Railway Station and Zhongguancun within one hour. After the second airport in Beijing is built, it will take no more than 30-minute drive from there to Beijing Fund Town. It is 60 km from Xiong’an New Area. 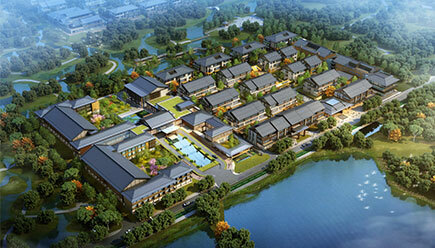 Beijing Fund Town has graceful ecological environment with forest coverage rate reaching 70%. It covers Changgou Spring Wetland Park, which is 3.87 square kilometers in total area, and about 10666 are in water area. In the park, water flows from over 12,000 springs throughout the year with annual volume nearly reaching 20 million cubic meters. The temperature of the spring maintains at 14 to 16 degrees centigrade at all seasons; and its water quality has met the standards of national class 1 surface water. 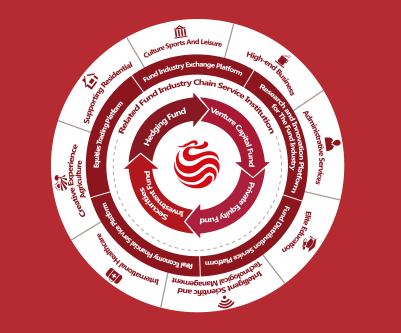 Beijing Fund Town aims at attracting various funds and agencies to join, in an effort to create the most valuable financial service platform in China and serve the real economy by integrating industrial resources and finally lead the fund industry to scientific and sound development. 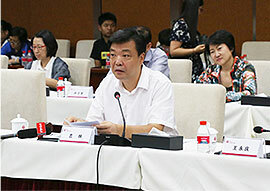 With regard to information communication and research innovation, Beijing Fund Town has reached an agreement on cooperation with the Capital Institute of Science and Technology Development Strategy, the UN Green Industry Platform China Office, the Asset Management Association of China, Tsinghua University, Peking University, Beijing Normal University, Central University of Finance and Economics and others. Besides, it has also reached an agreement on cooperation with many large financial institutions. They will establish asset management departments and private banks and develop relevant business in the town in order to strengthen their services and support to fund industry. The first fund industry court of China has been founded in Beijing Fund Town, which will ensure the scientific and sustainable development of the industry. So far, the conference center with land coverage of 1000 are and building area of 27,800 square meters has been put into use. First-class development of the project is actively underway and world-renowned planning and design company AECOM has been invited to the schematic design of the project. Beijing Fund Town will be built into an international fund industry cluster zone that is environmental-friendly, intelligent, livable and comprehensive. Since May 30, 2015, the town has attracted 1158 institutes to join, the asset under management are over RMB 1,736.5 Billion Yuan. 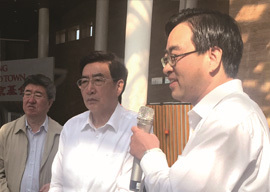 Under the guidance of five development ideas — “innovation, coordination, environmental friendliness, opening and sharing”, Beijing Fund Town strives to create an ecosphere for fund industry and serve financial innovation and lead fund industry to scientific and sound development. 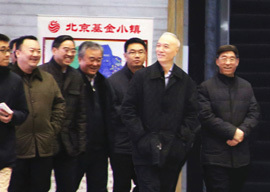 It is integrated into Beijing-Tianjin-Hebei Region to seek coordinated development and lead the new normal and further to help build an up-end economic structure for the capital city; it aims to become a modern and functional city-industry town that provides not only dwelling residences but also job opportunities.